Main Characters: Peter, his Mother and Father, Willie the dog. Short Synopsis of the Story: Peter wishes he could whistle. 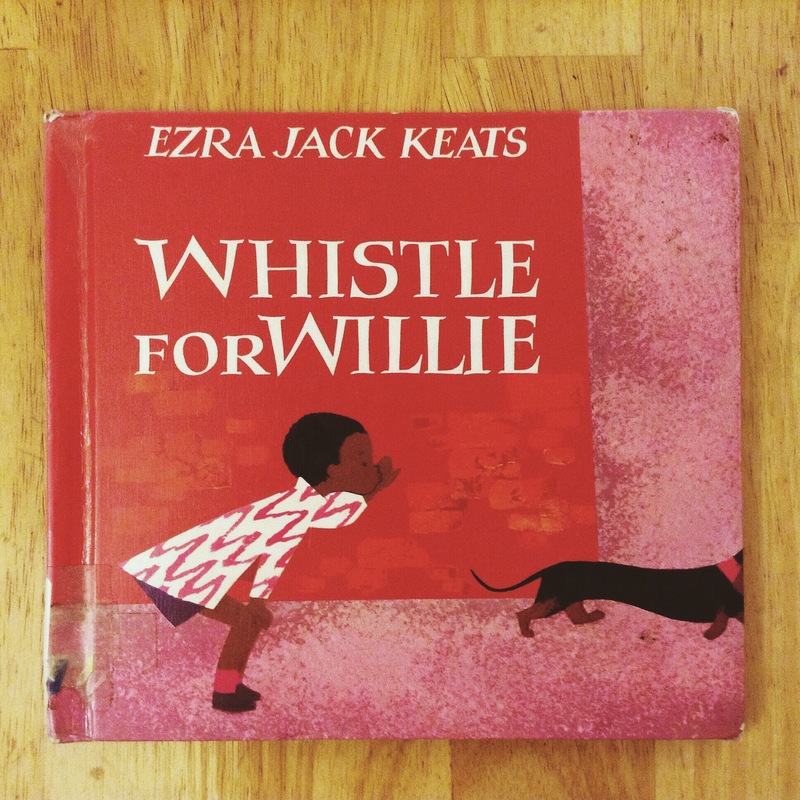 He wants to learn how to whistle so that he can call his beloved dog named Willie. He tries and tries different ways to whistle but no sound comes out from his lips. He goes home and tries on his Father’s hat and then tries to whistle again but even that fails. Peter hides in a cardboard carton that he finds in the street and tries to whistle yet again and this time a whistle is heard! Peter’s dog Willie rushes towards him and responds to the whistle.Later on, Peter’s mother asks Peter to run an errand for her. Peter whistles all the way there and back followed by faithful Willie. Favorite Part of the Story: The story is such a simple one. The images are very striking and are drawn with sweeping, colorful brushstrokes that immediately conjure a lively image of city life. We are immediately drawn by the pictures to a young boy’s visualization of his place in a busy city. The story teaches us of the importance of persistence and determination but this is done in such a subtle way that we do not feel that the story is overly moralistic. The way Peter puts his Father’s hat on and feels that this would magically conjure up his whistling powers made me smile. Lastly, the love between a small boy and his dog are endearing.